In a climate where we can no longer rely on regular rain to keep our green assets healthy, we are redesigning our city to be more water smart. Supporting the growth and health of the urban forest by providing reliable, fit-for-purpose water for irrigation. Redirecting stormwater into the soil, rather than down the drain, to support deep root growth and stable trees. Increasing awareness of water scarcity and flooding, creating a more informed and resilient community. Reducing potable water use in homes and businesses. This has lead to a reduction in greenhouse gas emissions associated with treating water to drinking standard. Increasing permeability, passive irrigation and stormwater harvesting to reduce the severity of flooding in heavy rainfall events. Reducing reliance on mains water during drought and water restrictions by capturing and storing rainwater in homes. 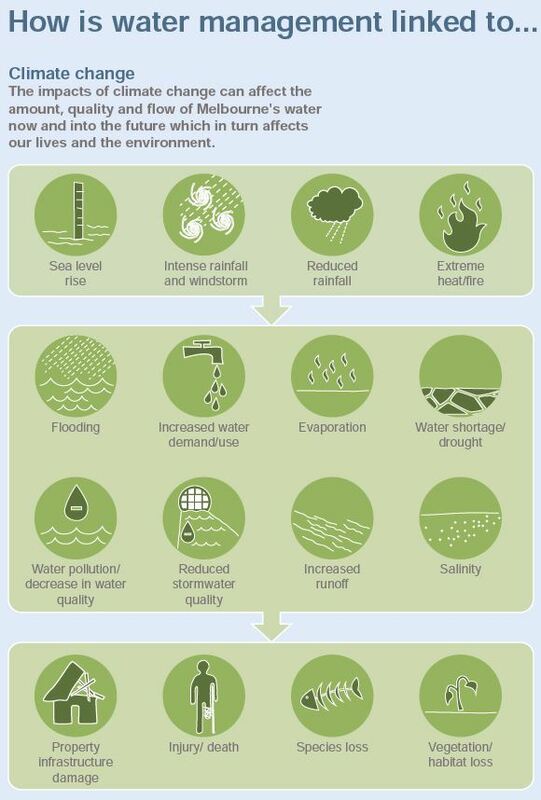 There is a fundamental link between whole of water cycle management, a healthy urban forest and community wellbeing. This link will only become more important as heatwaves, drought and storms become more frequent.